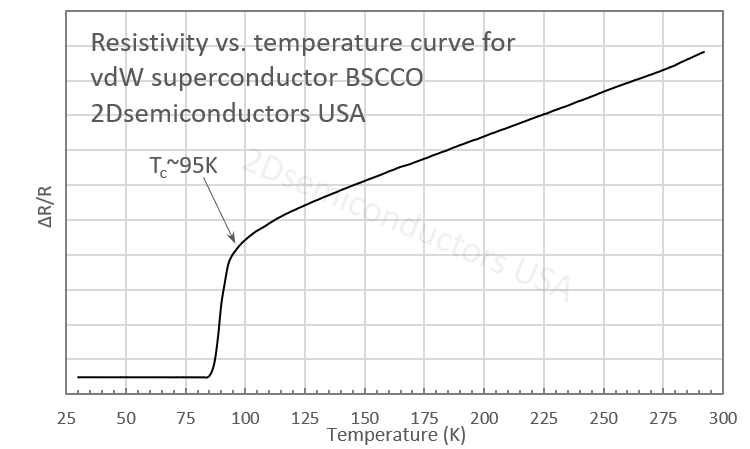 BSCCO (Bismuth strontium calcium copper oxide) is a high-temperature layered vdw superconductor. It has the generalized chemical formula Bi2Sr2Can−1CunO2n+4+x, and our crystals have n=2 which is also known as Bi-2212 with critical temperature (Tc) at ~95K. It is perfectly layered and very easy to exfoliate down to thin layers using mechanical exfoliation techniques. 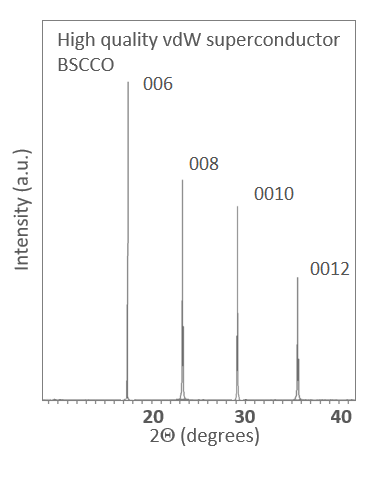 While BSCCO Bi-2212 is one of the most studied superconductor, its behavior in the few- and monolayer limit still remains largely unknown. Our crystals have been synthesized our modified optical float zone technique to retain 6N purity and layered crystalline structure. The product measures few mm (<4mm) in size and comes with guaranteed superconducting behavior.